Does oil-rich Middle East have a green destiny? Think about Middle-Eastern OPEC countries like Saudi Arabia, Iran, Iraq and the United Arab Emirates and what comes to mind? Is it the obvious: oil? Or is it solar energy, smart grids and green technology? For a growing number of people in the Middle East and elsewhere, and for a growing number of reasons, the second answer is becoming a lot more common. Perhaps the highest-profile example today is Masdar, the UAE-based initiative working to develop one of the world’s most sustainable planned cities: Abu Dhabi’s Masdar City. 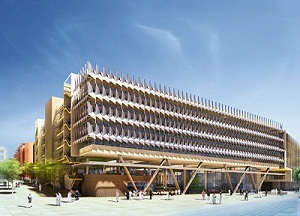 In partnership with the Massachusetts Institute of Technology, the city is also designed to become a global hub for clean technology research through its Masdar Institute for Science and Technology. Masdar, which develops clean-energy projects in other parts of the world as well, is also associated with two other programs with a heavy focus on clean energy and energy innovation: the Zayed Future Energy Prize and the World Future Energy Summit. In Saudi Arabia, meanwhile, IDEA Polysilicon is targeting the world’s photovoltaics markets with plans to build a large-scale polysilicon plant in the city of Yanbu. Scheduled to begin operations in 2013, the facility is expected to be producing 12,000 tons of polysilicon a year by 2015. “There is tremendous potential for solar energy in Saudi Arabia and the other states of the MENA (Middle East/North Africa) region, which enjoy a lot of sunshine, as solar power is extremely cost effective compared with other energy sources,” said Robert M. Hartung, CEO and chairman of Germany’s centrotherm photovoltaics, which is helping to engineer the Yanbu project. Even Iran is eyeing a future based more on green than on black gold, especially as other nations have imposed sanctions on its oil exports. Reuters this week quoted Iranian Minister of Petroleum Rostam Qasemi as saying it’s time for the nation to begin developing a renewable-energy sector. While global politics might be helping to drive Iran’s green ambitions, other factors are also pushing the Middle East toward more sustainability. The specter of oil depletion is also creating more concern, particularly in Saudi Arabia, which is already finding itself keeping more of its oil at home to meet the energy needs of (and reduce the threat of unrest from) a rapidly growing population. More and more, the part of the world that’s produced so much of the oil we all rely on appears to be coming to the realization that business as usual isn’t sustainable.